Al Falah University visited the Training and Development Center, Ministry of Health & Prevention last Thursday, 23rd November 2017. AFU visited the center aiming to develop a mutually beneficial partnership between the two parties. 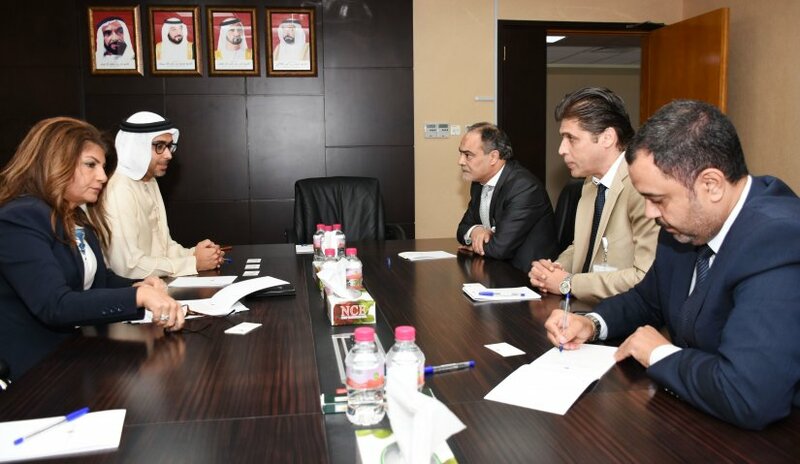 The delegation comprises of Prof. Abdelhafid Belarbi, President, Dr. Sameer Barghouthi, Vice President for Academic Affairs and Dr. Yasser Al Tayeb, Director, Quality Assurance and Institutional Effectiveness Center. AFU and MOH discussed during the one-hour meeting ways to develop skills and competencies in the education sector. AFU is also keen on MOH’s cooperation in the field of consulting, research and training students majoring in Health Management from the College of Business Administration.